Get started today, no obligation. 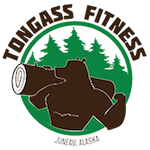 We are a inclusive fitness gym conveniently located in downtown Juneau Alaska, offering daily workout classes and more. Always new, always engaging. Daily workouts are always changed so you don’t plateau or get bored of the same routine! Fundamental movements and lifts while giving you a peek at our training methodology. A free, intro workout is available to members and non-members alike on Saturday mornings.